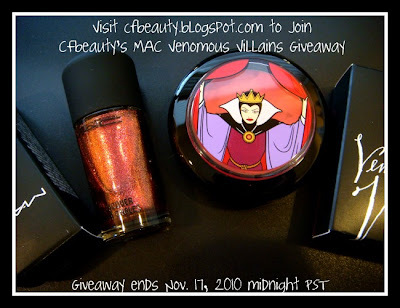 Karen of Allure of CF Beauty is having a MAC Venomous Villains Giveaway to celebrate 200+ followers! Check out her blog featuring beauty that does not test on our furry friends and leave her some love! For those of you who didn't know, earlier this month H&M had their 10-Year Anniversary Sale, with many items each day $10 off full price. I hopped on this opportunity a couple of weeks ago on a Thursday night and was so tempted to buy everything I tried on! There were a lot of adorable pieces on clearance as well, so I nabbed everything in sight that seemed to fit and headed for the dressing room. Here you have it, my first dressing room review! I wore comfortable but unstylish shoes, so excuse the dreckitude :3 Also, I used aquarium lighting in the fitting room ... so I'm glad that my camera even picked up anything. I'll live with yellow. This is by far one of my favourite dresses I've bought recently and maybe all summer. It's comfortable, work-friendly, and has sheer pretty sleeves and ruffle detailing! 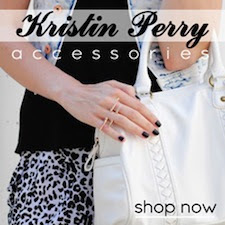 Not only that but it's super affordable and looks great accessorized and worn with tights (see styled outfit here). This also came in a black with tiny white dots and a bright red with dots, but I liked plain black best. This shirt is super elegant and I love the "just-enough" peeping effect of shoulder through the lace. There were so many colours available but I chose a colour that I don't already own a lot of. I really loved the fit and it was relatively a versatile piece but I reluctantly parted with it at least because of the price. Even with the $10 off deal, it was pricey for a nothing-special skirt and the weather is getting chillier day by day. This was also a hard object to turn down because it's so cute! I love the felt polka dots and how it looks on camera, but in person it wasn't amazing. [Colour is way off, I know :/] If I reconsidered, I'd probably get this and wear it with sweater tights and boots. I love how the dots taper off and it's quite a good deal. See styled outfit here. I didn't know which size would fit me better so I tried both of them on. I actually like the fit of S but it is super loose and hides my shorts. My friend suggested I go with the XS, which has a better fit. I do love draping tops though these days. I like it belted for more shape but if I put my arms down, unbelted looks nice and relaxed too. Whew! Today has been a crazy day and I'm still up past 3 AM, cleaning my room and preparing for Sunday study sessions. All week I've been staring at this beautiful tree with flaming red leaves while running towards the subway station to catch my ride to the med school and I keep thinking, photoshoot photoshoot photoshoot. Today we finally had time and the most gorgeous sunlight, so I put on what I wore yesterday: one of my favourite dresses I recently bought from H&M (for only $15 because of their $10 off anniversary sale deal :D) - a black one with ruffles on the chest and sheer sleeves. I feel like such a doll and mature at the same time, it's the perfect outfit for those warmer fall days when my mind drifts back to summer. I recycled my floral tights and the pattern worked great and traded in the brown oxford flats I wore to work for some fun red pumps I haven't worn all season. I wanted to make a crown out of the red maple leaves but the waxy stems didn't want to tie together. After much frustration, I just tied a hairtie in a piece of my hair on either side and stuck two tied-together leaves in with my boyfriend's help. It may look dorky but I'm all about the dork. Organic dorkage at your service. This has been my favourite day of fall ever and I snapped a bazillion pictures so that I'll never forget the image. I've always thought it was ironic that when you keep taking pictures, you fail to really look at what you're shooting. So whenever I go somewhere cool like the zoo or a park, I take a ton of pictures and then go back through it with my camera put away so I can really take in the visual effect. Saving a .jpg simply does not supplant a raw memory. My evening finished with a trip to the Asian supermarket with my close friends from college. We've been together since freshman year, all starting out as floormates and becoming couples, best friends, study buddies, moral support. I couldn't ask for better people to surround myself with. All those delicious snacks were no match for us because we bought endless bags of black sesame dessert soup powder, my favourite breakfast cereal mix, sesame ice cream mochi (my first time having them OMG they are sooo good), Japanese cheese puffs, shrimp fries, Calpico and aloe drinks, taro popsicles, almond tofu mix, and mini mooncakes to name a few. We also bought supplies for making dinner together and a grand feast it was. My boyfriend made chicken breast with a scrumptious French brie sauce, I made a tofu and preserved egg (pi-dan) cold dish with cilantro, and my other friends made pork with a creme mushroom sauce + jie-lan with oyster sauce. I was bloated to the max and could only ease my fullness by playing some Final Fantasy XIII, which I had been itching to try forever. Unfortunately gameplay has been lackluster so far and I'm not so sure about the battling system (I actually prefer XII's). Two caramel apples down (also a first time), and much laughter and Mario Kart racing all night. Now this is what I call a Fall Break.